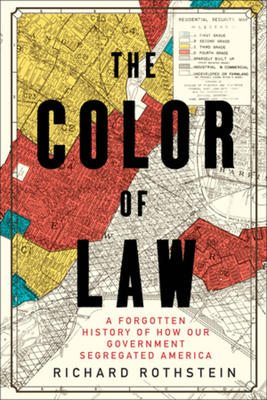 The Fair Housing Act of 1968 prohibited future discrimination but did nothing to reverse residential patterns that had become deeply embedded. Yet recent outbursts of violence in cities like Baltimore, Ferguson, and Minneapolis show us precisely how the legacy of these earlier eras contributes to persistent racial unrest. "The American landscape will never look the same to readers of this important book" (Sherrilyn Ifill, president of the NAACP Legal Defense Fund), as Rothstein's invaluable examination shows that only by relearning this history can we finally pave the way for the nation to remedy its unconstitutional past.